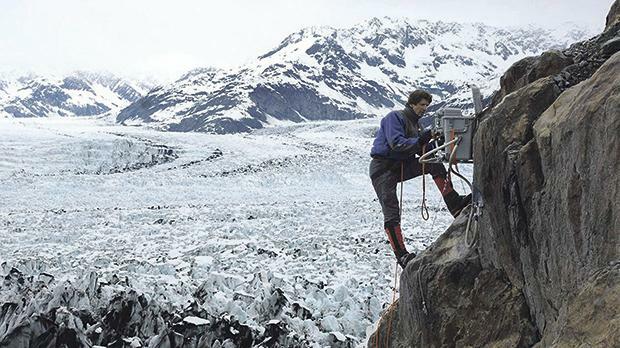 James Balog in Chasing Ice. Chasing Ice is a documentary which follows National Geographic photographer James Balog as he embarks on a multi-year attempt to capture indisputable observational evidence of climate change and then communicate it with the world. One can marvel at the stunning cinematography of earth’s natural landscape as Balog and his team feature unbelievable scenes of a glacial breaking event lasting 75 minutes, the largest such event ever captured on film. The film is being screened as part of CineXjenza, a science cinema event which encourages discourse around topics at the forefront of science and society. After the film screening there’s a chance to share one’s views and critically analyse themes expressed in the film including climate change and if humanity’s behaviour can be changed. The discussion will be an open forum and science communication experts will facilitate dialogue between the audience and a climate change researcher from the University of Malta. Chasing Ice will be screened tonight at 7pm at the Cinema Room, Spazju Kreattiv, Valletta. Snacks and refreshments will be served during the discussion.